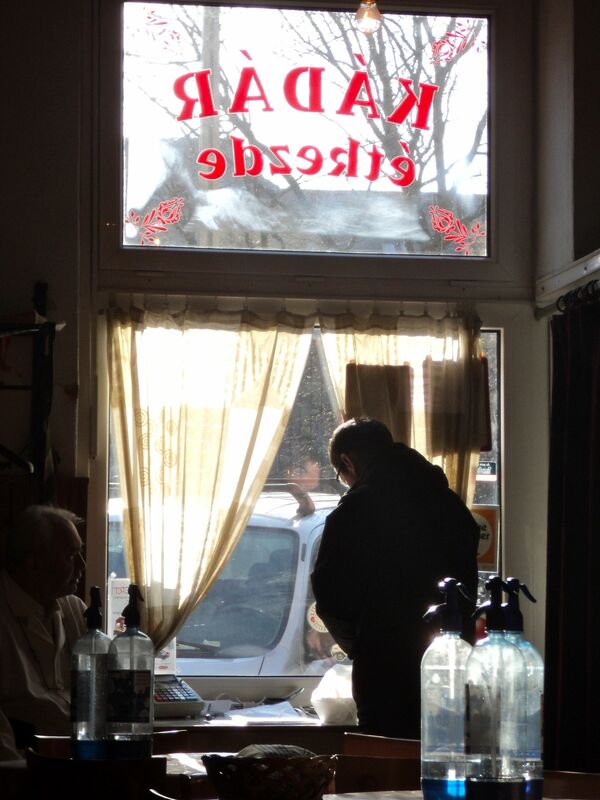 Instead of having actual Hungarian class on Wednesday afternoon, my teacher took us all to Kádár, an old Hungarian eatery in the middle of the Jewish quarter. 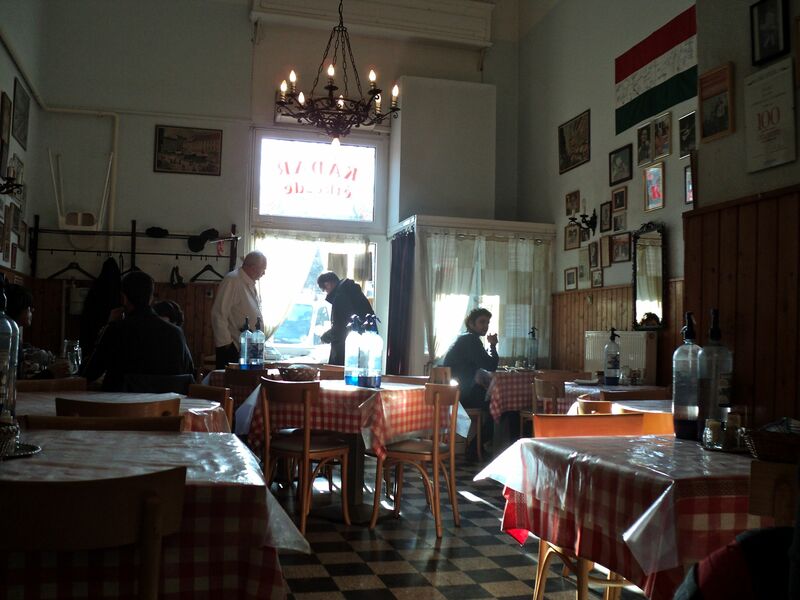 The food was delicious, and the atmosphere was intensely Hungarian. This is probably the only restaurant in Budapest that still has gas bottles on the table, expecting customers to serve themselves fizzy water and then report how much they drank when the meal is over. The ‘accounting of sins’ is done at the door, the white-coated owner adding up the total cost of the meal (slices of bread and all) as you read them out to him. The food is pretty incredible, which explains why they’ve been sold out of stuffed peppers both times I’ve gone. I did get to try a really incredible beef stew, and some delicious boiled cabbage. For dessert: sweet noodles topped with ground poppy seeds and confectioners’ sugar. Weird, yes, but not half bad. After eating, our teacher led us through the Jewish quarter, pointing out a market I have never seen before, a new bakery to check out, and best of all, a kosher deli. I think we are going to make passover food here after spring break, just because I miss matzo ball soup and horseradish. I really love this part of the city, not just because it’s where all the ruin pubs are, but because the narrow streets and general lack of tourists makes me feel like I’m seeing an entirely different city than the refurbished center of town. Oh, and speaking of Cukrazdas–Jack attended a conference in the US a few weeks ago and brought my roommate two packages of Bakers’ Chocolate. Last night she made brownies for her church group and gave me one. They were incredible! Practically my ideal brownie. I can’t imagine making them better except by adding a spoonful of unsweetened whipped cream, Vienna-style. Want the recipe? It’s the one-bowl recipe off of the Baker’s Chocolate wrapper. Entirely worth your time. You have been amazingly active, always finding something new to do or try! I hope I can find this much to do when Im in Spain. We greatly enjoy your blog. I’ve printed out the pages on the Jewish Quarter and sent them to your Aunt Joan; I’m sure she will be interested. 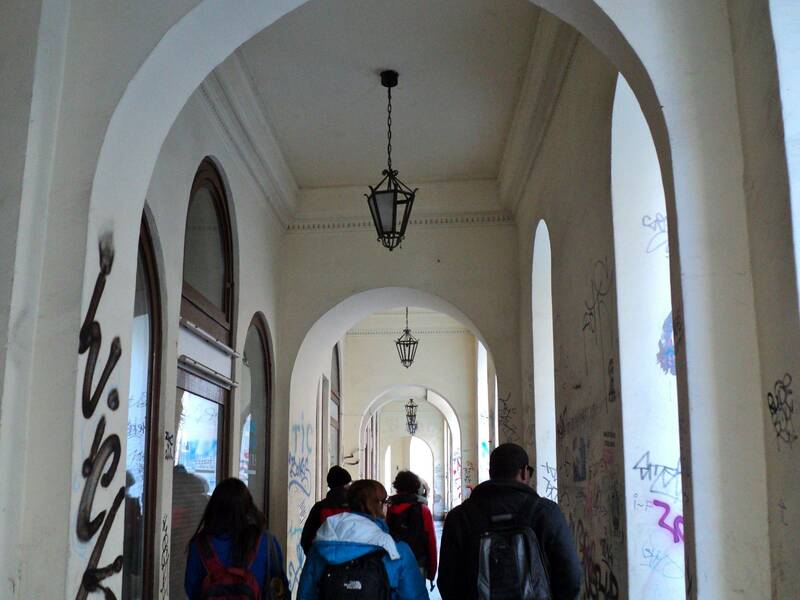 Your visit to Vienna sounded very interesting: glad you got to so many restaurants. We had a good dinner with Cathy last night; she’s fighting off Wheat’s cold, and we hope will be successful. Sewing this afternoon. I love yor blog. Its like following a tour guide. You are really getting into the culture.